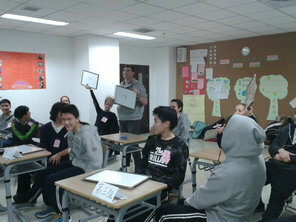 On January 15th, 2015, theInternational Department Language Class used class meeting time to hold a GrandDictation Contest. 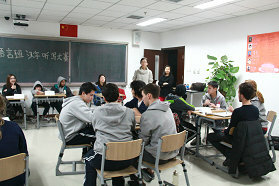 Classmates were divided into four teams, each team withstudents from the beginner, intermediate and advanced classes. The contest didn’tonly test the character-writing abilities of the students, but also testedtheir teamwork skills, energy, and positivity. Overall, the contest showedgreat results of the student’s hard work, and truly gave them a taste of thechallenge and charm of writingChinese characters.